The modified Tor surface to air missile system is placed on powerful belt wagons and can operate in temperatures down to minus 50. 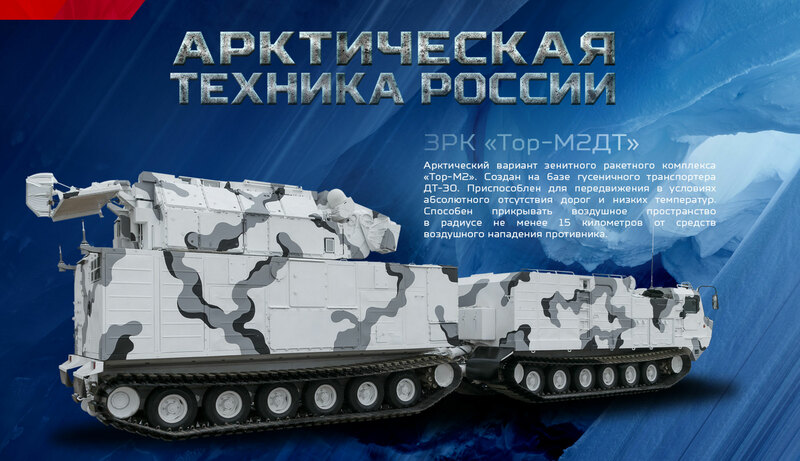 According to the Russian Defense Ministry, the first units of the Tor-M2DT have been handed over to representatives of the Armed Forces and will now be sent to the North. The system that was first displayed in public during the 9th May military parade in Moscow in 2017, is based on the Tor-M2 missile system (SA-15 Gauntlet) and attached on a DT-30 belt wagon. Its missiles have a range of 15 km. The mobile system has a unique cross-country performance capacity and can easily overcome trenches, rivers and lakes, the Armed Forces say. It will reportedly not lose functionality even in temperatures as low as minus 50. The modifications of the Tor-M2 are now the most efficient weapons against all kinds of air targets, including drones and enemy high-precision systems, the Russian military says.